While it may feel like an easy win for the Tories, this £8bn fossil fuel giveaway will hit Phillip Hammond's coffers hard - and make the public cough harder. Clean air activists and climate campaigners have said Theresa May is failing in her legal duty to tackle climate change, after the PM announced fuel duty will be frozen for the ninth year in a row. The independent Institute for Fiscal Studies think tank says the policy costs the Treasury around £9bn a year. In contrast, investment in green energy slumped by 56% in the UK in 2017 – the biggest fall of any country – after the government cut support. Levels of air pollution are in breach of EU law across most of the UK, with the cut in fuel duty contributing to the problem, according to campaigners. A National Audit Office report last year found that 85% of UK “air quality zones” exceed legal pollution limits – eight years after they were supposed to meet them. The UK is also at risk of breaching its legally-binding emissions targets, according to the Committee on Climate Change. 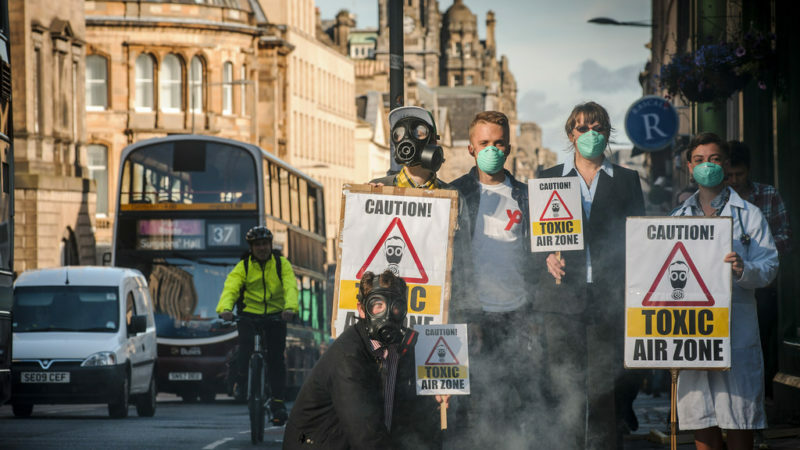 “Dirty air is killing thousands of people every year – and the government is breaking the law with its negligent failure to cut pollution. The last thing we need is another subsidy to encourage more cars onto our roads. “It’s telling that while renewables lay starved of financial support the government are bunging billions to fossil fuels through their fuel duty freeze. This is billions of pounds which could be using phase out petrol cars, invest in clean public transport or support our renewable sector. Others criticised the effect of the fuel duty freeze on people’s health. “Two months after scientists warned that we’re on track for a ‘hothouse earth’, climate change was almost as conspicuous by its absence from the conference hall as Boris Johnson. The fuel duty freeze just shows how little the environment features on the government’s agenda.